I went to Madame D in October as I had seen so many delicious looking photos on Instagram and needed to try it for myself. The menu is ever changing based on seasonal foods, but they stick to keeping about 10 different sharing plates on the menu and they do every single one very very well. It was honestly very hard to choose what to order because we wanted to try everything, but we settled on the Curried King Prawns, the Steamed Whole Seabass, the Tenderstem Broccoli and the Himalayan Fried Chicken. Everything was really tasty and we left feeling incredibly full and satisfied. It was a buzzing atmosphere, the service was great and the food was just as delicious as it looked on Instagram and I was so pleased we went to check it out. They also do have a cocktail menu which looks brilliant, but we stuck to wine and beer and it worked well with the food. 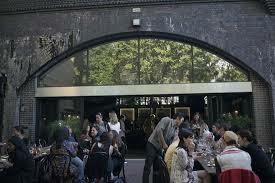 One of my all time favourite Sunday Brunch and Steak Tartare restaurants is Bistrotheque in Cambridge Health. 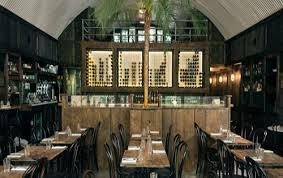 It is a hidden away gem in a quiet street of housing, no signs outside and you just walk in and upstairs into a bright and sunny dining room, with large bouquets of flowers, a pianist on a grand piano, cocktail making at the bar and good buzz in the air. I always get the same thing when I go: a Steak Tartare main (which is mixed with herbs, sauces, capers, etc already, then put neatly on the plate with an egg yolk balancing on the top, and comes with chips and a gem lettuce salad) and a Bloody Mary (which are also really good here). 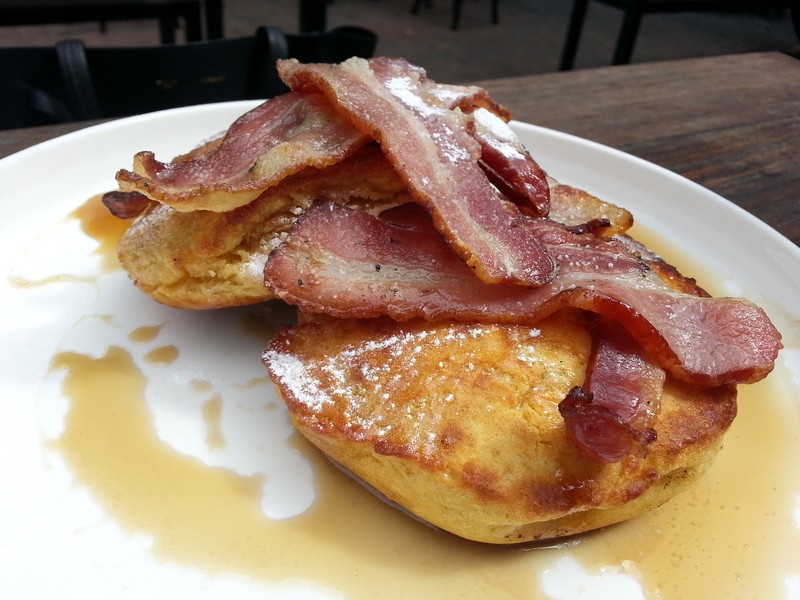 Great vibe, great food, great service, great Bloody Mary – all very important elements to a Sunday Brunch. Madison is an absolutely awesome roof top bar in the city that has the best view of St Paul’s Cathedral. It is perfect for a post work summer sunset drink outside. We recently went for dinner there for Kuda’s birthday. 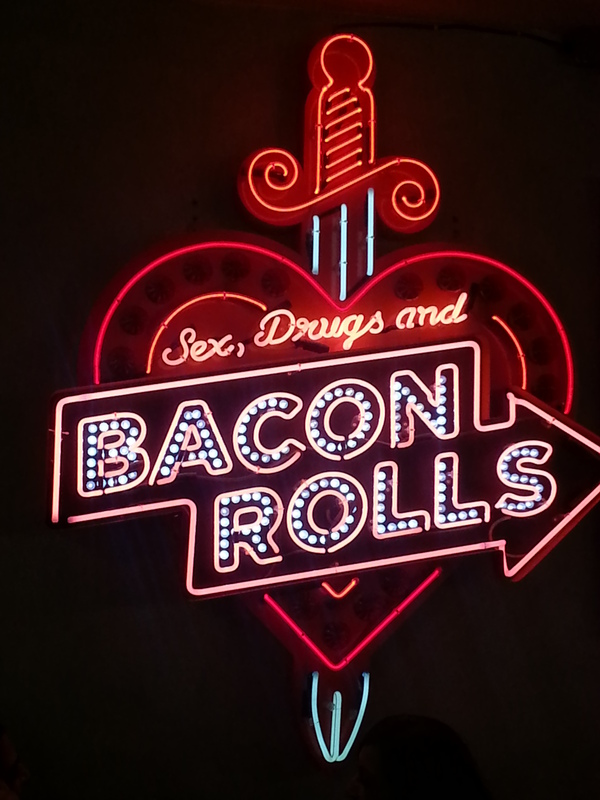 It was my first time eating there and I was intrigued to find out what the food would be like. The bar is really nice but I think the set up of the restaurant is really oddly placed in the middle of the bar with people standing around waiting to order drinks or just standing and drinking around you. I feel like maybe it should be a little more secluded as a restaurant area. The food was really nice and it was well priced – it was nothing mind blowing – but still really nice and I could not fault any of it. I think that maybe because it was all served on individual heavy wooden chopping board it gave a bit of a posh pub grub feel to it. Most of our group ordered the burgers which were all cooked perfectly and the patty big enough for the brioche bun so it looked great too (my pet peeve if a restaurant serves you a shrived up, dried up meat patty hidden somewhere in the massive bread bun). I ordered the lobster roll and the lobster was cooked and sauced wonderfully and then placed in a brioche roll. Their chips are perfectly cooked but I think the obvious highlight of the side dishes was the mac and cheese. It was maybe my highlight of my meal. It was intensely cheesy with a crunchy top from being baked. Unfortunately the service was pretty awful from seating us to serving us to billing us which was surprising as the restaurant wasn’t full. The cutest mayonnaise jar ever. The stunning view. This was a Friday night on a sunny day so it was incredibly busy and there was a DJ playing music out on the roof. The views are so stunning and I think they definitely make up for the over-priced drinks. 100% worth a visit on a sunny day! Still a gorgeous view as we were leaving in the lift. I love the vibe at Paradise Row in Bethnal Green. This little street looks like it used to be all warehouses and now holds some great restaurants and craft drinking spots. 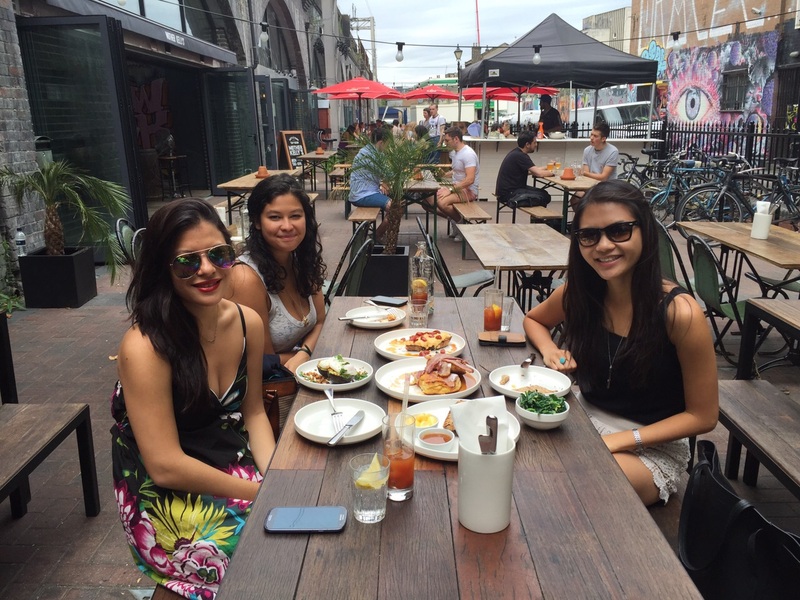 Astrid, Renata and I decided to have brunch at Mission E2 one Sunday before we headed off to Colombia Flower Market. The first thing you will notice is the interior decor. I love it! It is very 1920s and chic, but the weather was warm and sunny (a rarity in London) so obviously we had to sit outside and take it all in. The next thing you will notice is the service. It is fabulous! The waiters and waitresses seem passionate about their food and they give some great advice about what to order. I think I could have literally eaten anything on the menu – it all sounded so good. We ended up deciding on the buttermilk pancakes with bacon and maple syrup, the scrambled eggs on toast with chorizo and the avocado and poached eggs. My favourite was definitely the pancakes and I am not usually one for sweet food, let alone pancakes, but they were phenomenal. They were fluffy but still quite dense and filling and you could really taste the buttermilk which was delicious. The bacon, maple syrup and pancakes married up really well together because it was nice to have some savoury in the mixture. 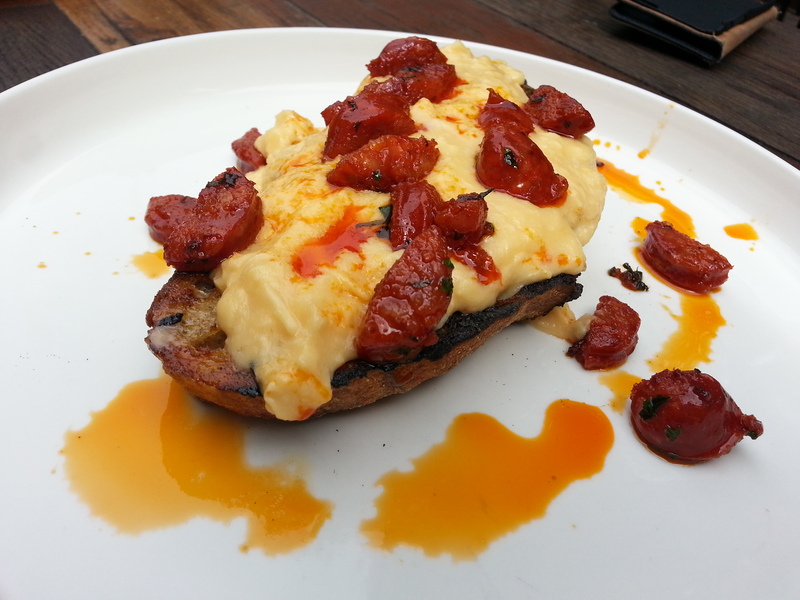 The scrambled egg was so soft and creamy and the chorizo gave it a little kick which worked well. 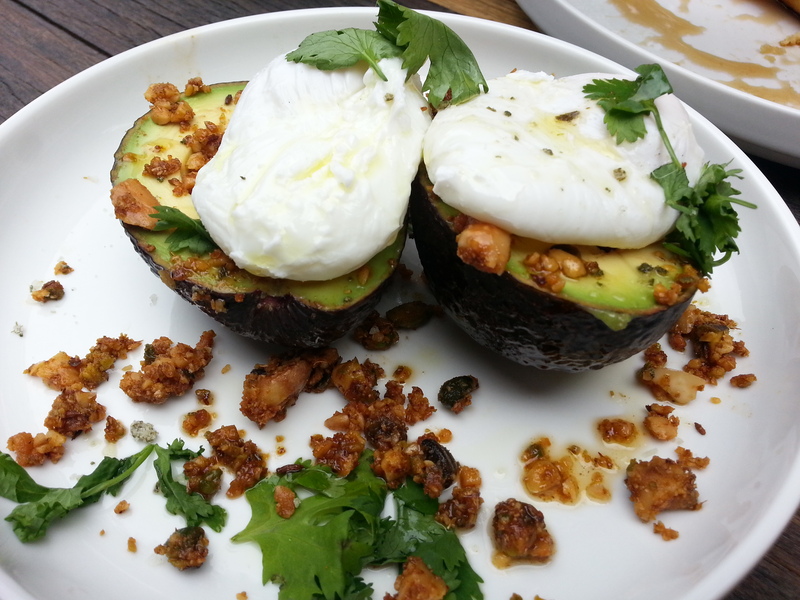 The avocado was in its skin, which was great for presentation but I think it could have had more flavour and been easier to eat if maybe the avocado was mushed with some chili, salt and pepper, then put back into the skin. It just felt a little bit like it wasn’t finished, or that it was missing something, but was still tasty all the same. We ordered some toast, seville orange marmalade and rhubard jam to nibble on and some spring greens with chili and garlic on the side. 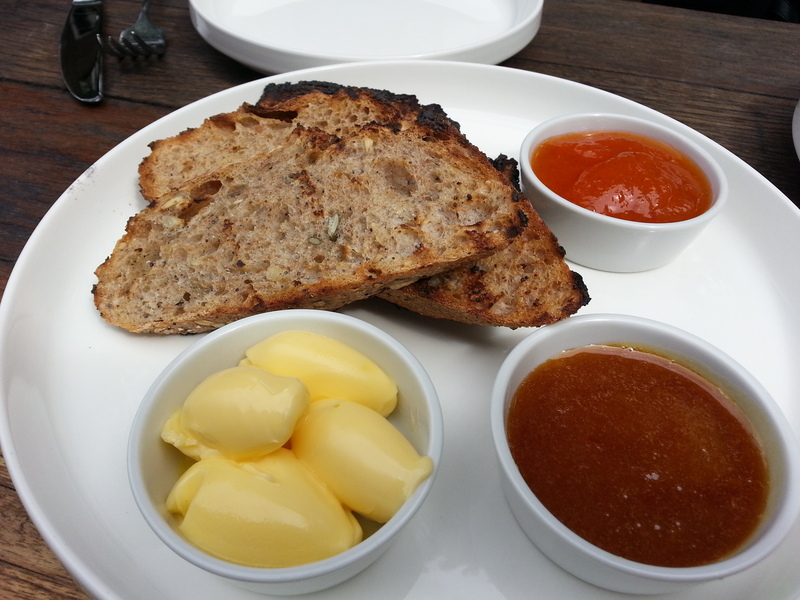 The bread for the toast was a seeded sourdough (my absolute favourite) and the jams tasted homemade and were gorgeous. 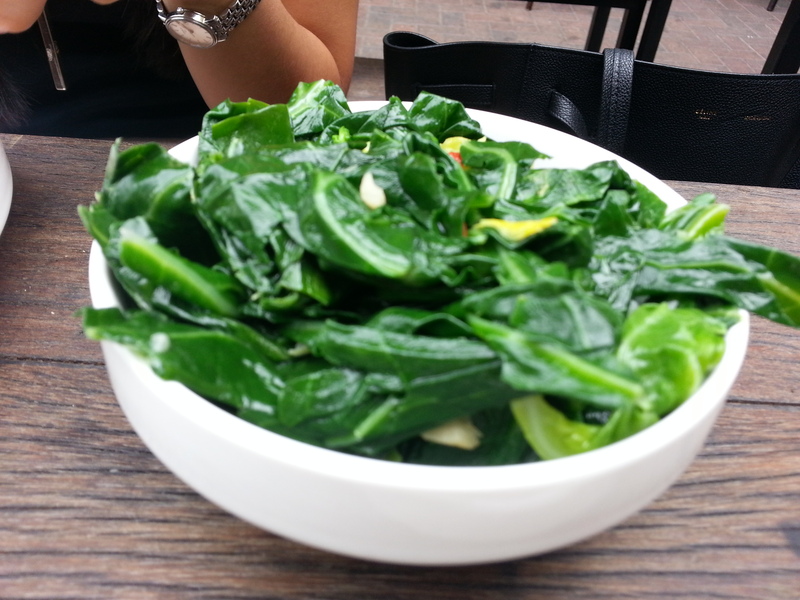 The greens were stir fried with garlic and chili but were not overwhelming with garlicky flavours and still had a fresh crunch to them. Overall the food, the service and the place were all exceptional. Great brunch menu as well. I definitely recommend a try! 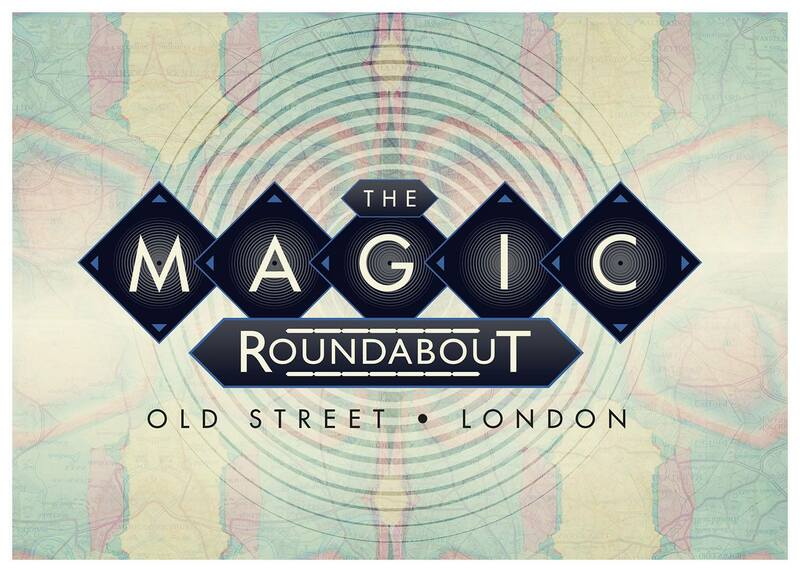 One Friday evening after work, Jack and I made our way to The Magic Roundabout as we had heard about it from friends and it is right by my new office. It was a buzzing atmosphere but still quite relaxed and not ridiculously busy. 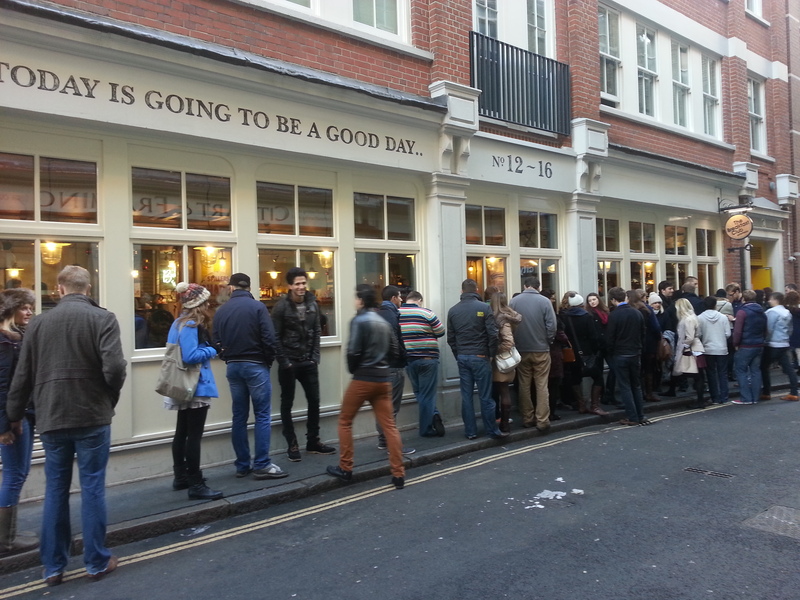 We could still order drinks and food easily without waiting in any stressful queues or crowds and we still found a spot to sit down. It is a no frills pop up joint with just two stalls, one craft beers and coffee stall and a main bar where you can get the usual main stream bar drinks. With music in the back ground (no too loud that you needed to shout into your friends ears) and great weather that evening – it was a really nice place for a chilled out post work dinner and drinks – and something a bit different. 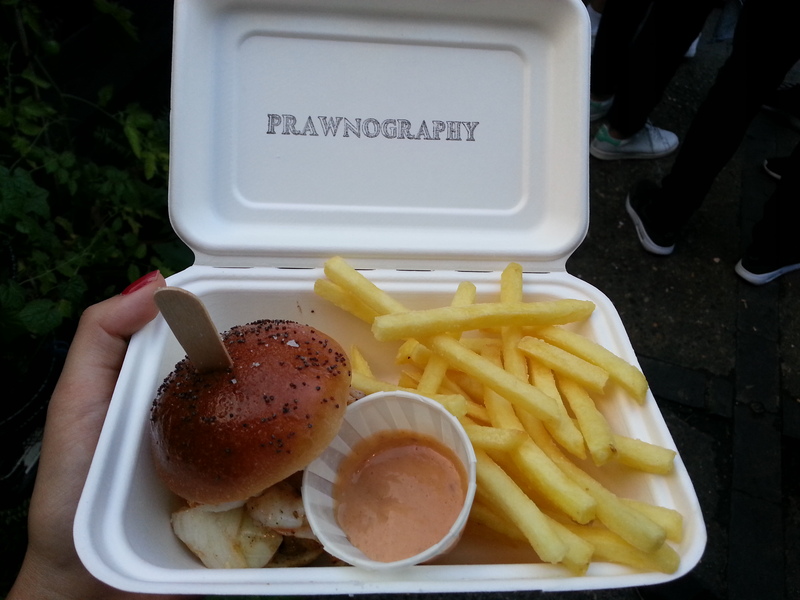 We shared the Tiger Prawn Slider which came with a loving portion of fries and a seafood sauce to dip them in. The prawns were beautifully grilled and popped into a brioche type bun with some fresh lettuce. Wonderful seaside flavours. 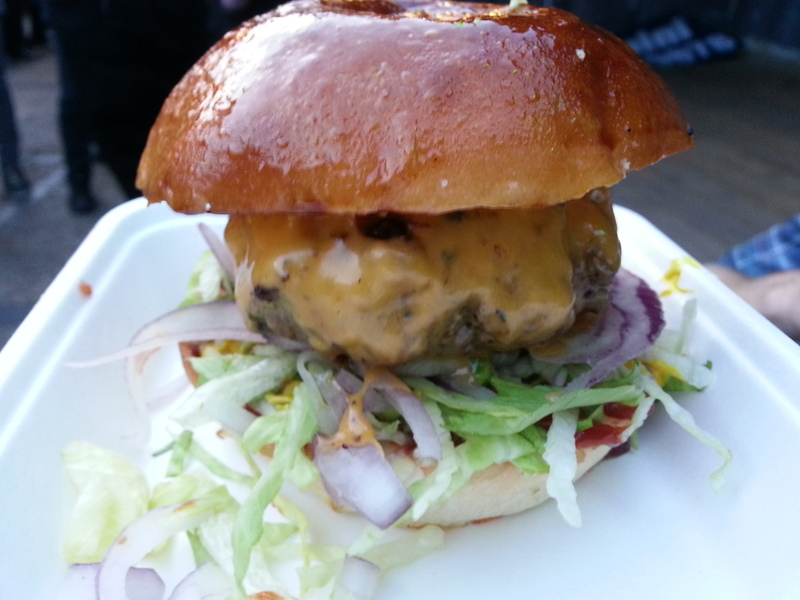 We then made our way round to the much talked about Burger Bear stall. 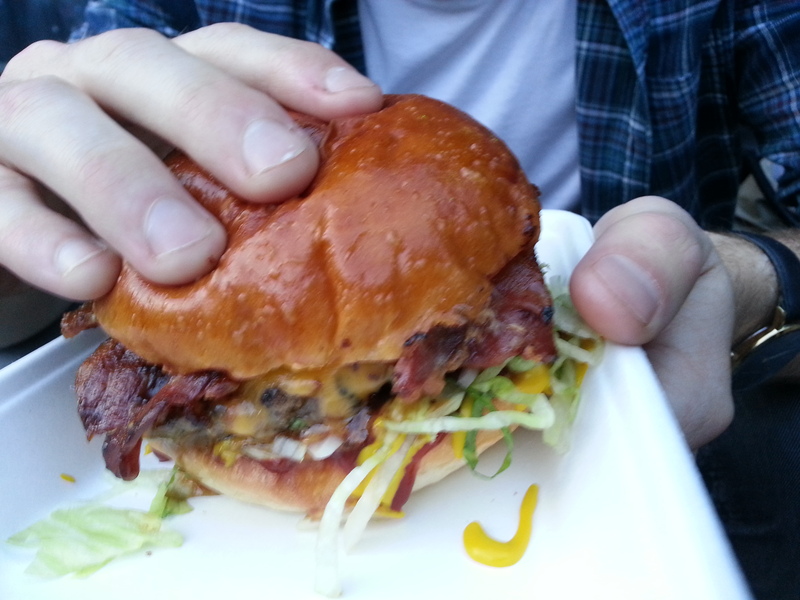 Jack got the Grizzly £10 (above) which has bacon, bacon jam (a recent foodie sensation) and cheese. Although I find a tenner a little steep for just a burger and no sides and buying from a stall – but the price was easily forgotten when we bit into these juicy, meat filled brioches. 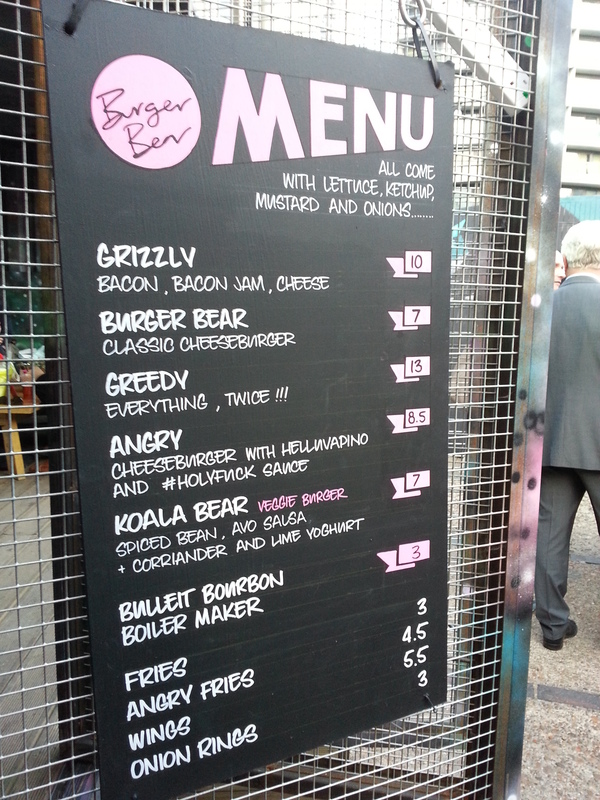 I had the Burger Bear £7 (below) – the original Burger Bear cheeseburger. I am not a fan of raw onions so had to pull those out, but apart from that it was equally as delicious. You can taste the excellent quality of the burger meat and it is ever so slightly pink on the inside (perfectly cooked for a proper burger) and still oozing with juices as you bite into it, then there is the cheese melted over the top and then placed in a brioche with all the salad trimmings. 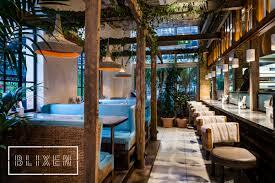 The brunch crew and I decided to try Blixen on Saturday for brunch a few months back when it first opened up. 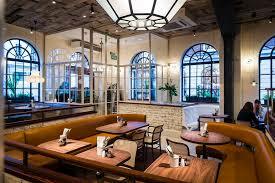 The interior had a feel of a green house even though it is based in the middle of the city. It was fairly eclectic but I still found it tasteful. 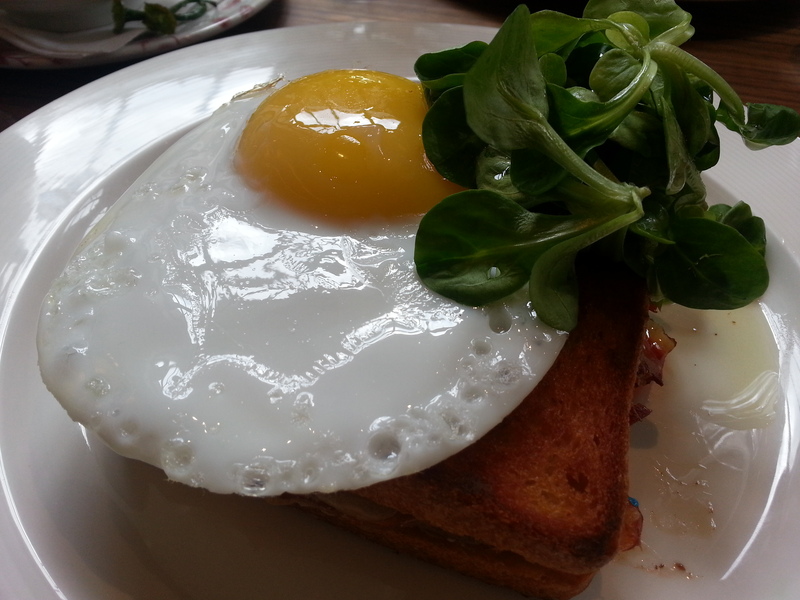 I ordered the Croque Madame (£8.50) which had a little twist to it – It used Iberica Jamon as the ham, Raclette as the cheese and a duck egg on top. It came looking grand, but also tasted delicious. It was perfectly browned and crunchy on the outside and the middle was soft but not soggy. As I cut into it, the egg yolk oozed over the top and it all married very well together. Fiona had the Potato Rosti with Spinach, Poached Egg and Parmesan (£7.00) and James had the same but with Salt Beef, Poached Egg and a Mustard Hollandaise (£8.50), which both also looked lovely. We stayed for a while and service was great. It was very relaxed and we didn’t feel rushed at all. If you haven’t been – I definitely recommend a try! Its all about brunch these days and one Saturday Brunch Time Astrid, Renata and I went to The Breakfast Club to have their famous all day breakfast menu. They do not take reservations and so (especially on a weekend morning) you will find a line of hungry foodies outside the restaurant. We must have only waited about 20minutes before we were inside and seated. The interior reminds me of an 80’s diner, but brighter and more eclectic. 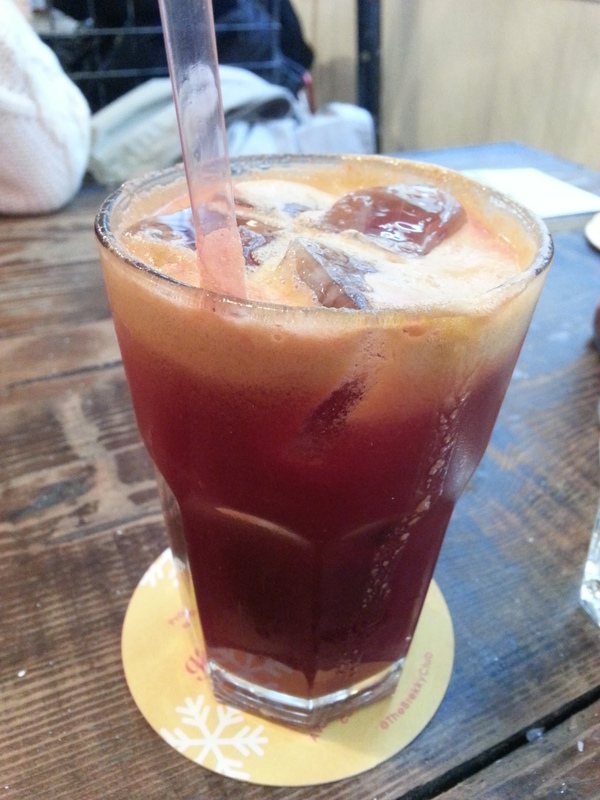 I was going to go for a naughty Bloody Mary, but decided to go for a Beetlejuice (£4.10) instead, which was a beetroot, apple, carrot and ginger juice. It was very gingery and a great refreshing start to the day! 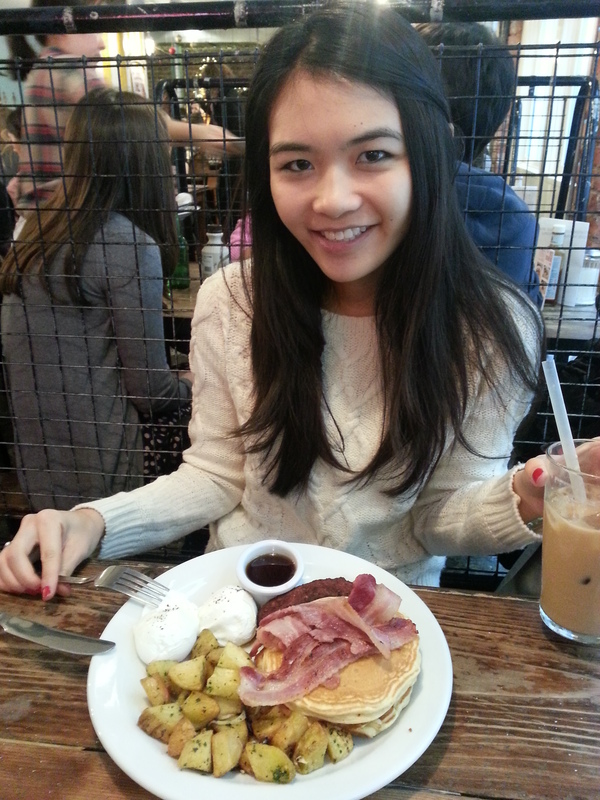 Renata went for the All American (£10), which came with pancakes, eggs, sausage, home-style fried potatoes, streaky bacon and maple syrup. Renata is a big fan of having sweet and savoury together so this was a winner for her. 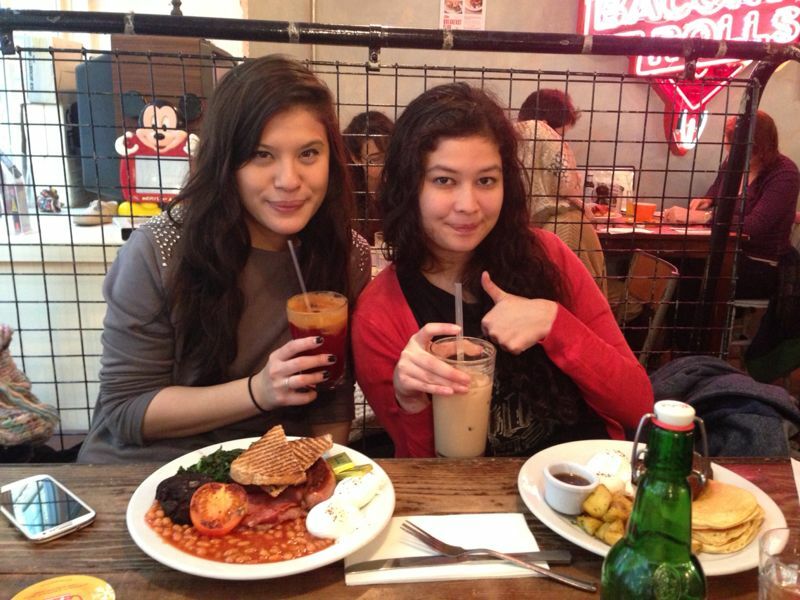 Renata and Astrid both went for iced lattes (£2.50) for their caffine kick. 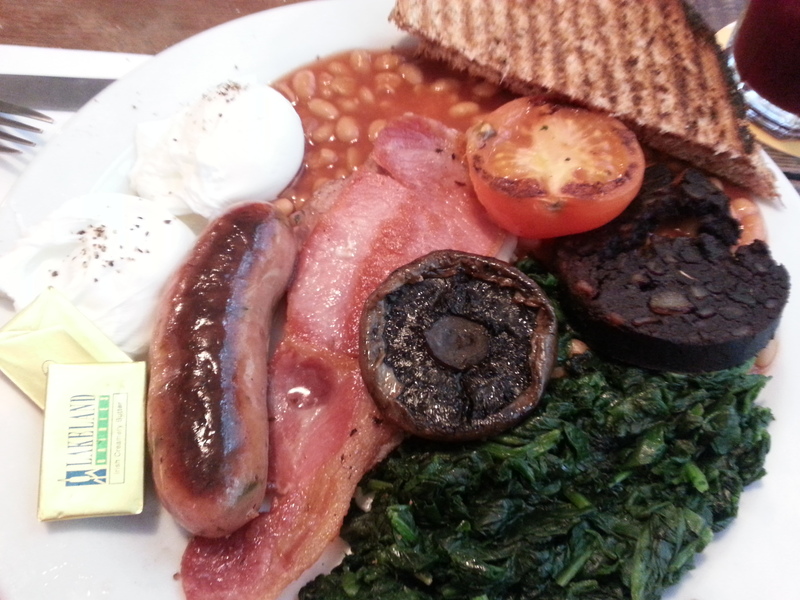 I went for the Full Monty (£9.70) which was supposed to be bacon, sausage, black pudding, eggs, home-style fried potatoes, mushrooms, beans, grilled tomato and toasted multigrain bloomer – but I swapped the potatoes for some spinach instead. My poached eggs were perfectly cooked with the yolk runny so that I could dip my bacon and sausage into it. I think the grilled portabelo mushroom was a great touch and had a lovely bbq-like flavour to it and the spinach was steamed and very fresh tasting as well. 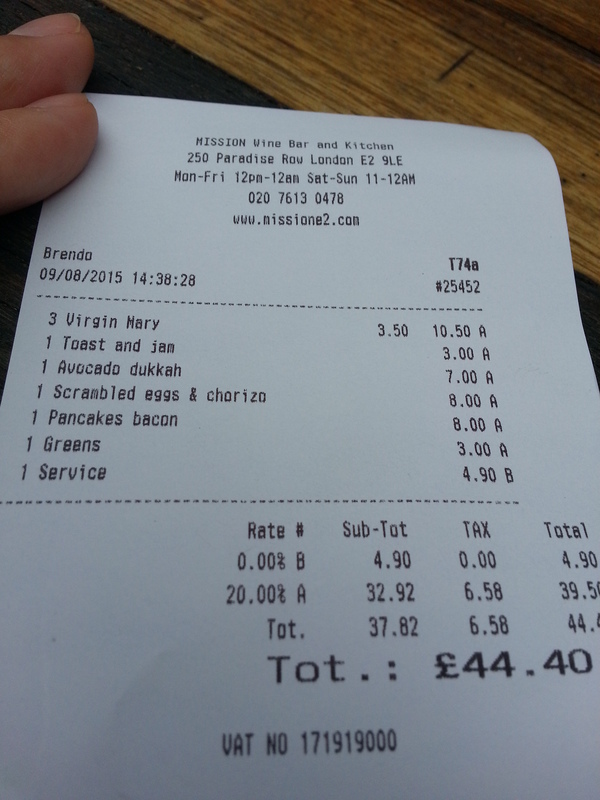 Astrid went for the Veggie All American (£9.60). She isn’t a vegetarian but just loves veg. 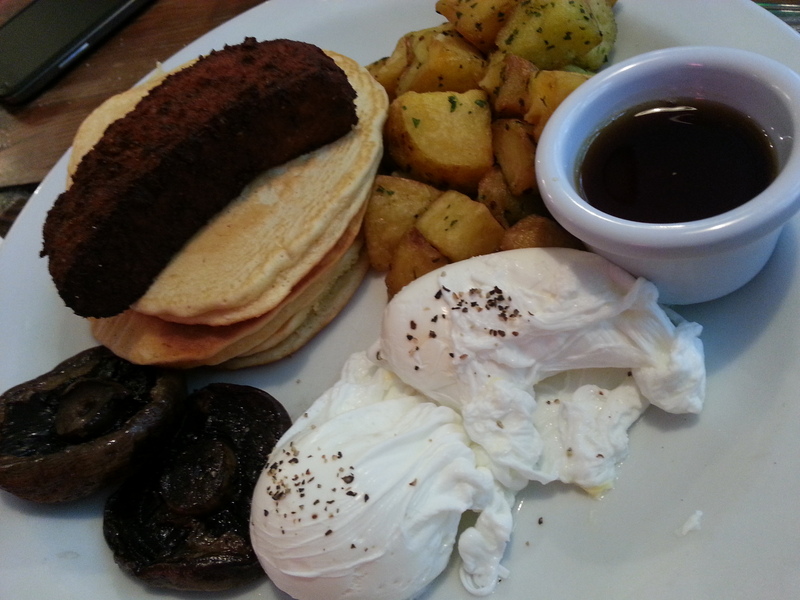 This came with pancakes, eggs, veggie sausage, mushrooms, home-style fried potatoes and maple syrup. 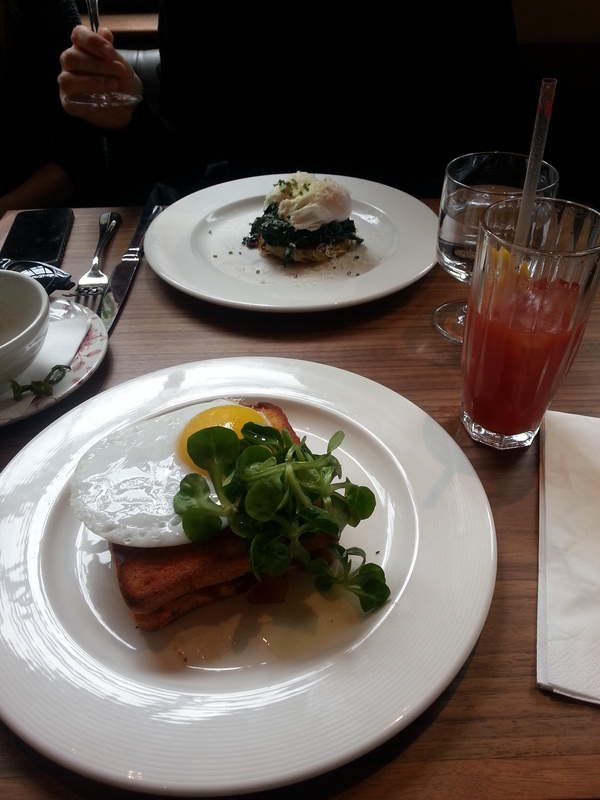 Its definitely one of my top brunch spots.